Eva Aridjis was born in 1974 and grew up in Mexico City. She attended Princeton University, where she received a B.A. in Comparative Literature, and then went into New York University's M.F.A. program in Film and TV. While there she wrote, directed, and edited four short films: “The Collector” (1996), “Taxidermy: The Art of Imitating Life” (1998), “Billy Twist” (1999), and “The Passenger” (2001). Her shorts have screened at the Sundance, Edinburgh, Huesca, Sao Paulo and Clermont Ferrand film festivals and have won Warner Brothers Pictures Film Production and Screen Gems Awards. After NYU she made a feature documentary entitled “Children of the Street”, about four street kids living in Mexico City. “Children of the Street” was nominated for 2 Mexican Academy Awards and won the Best Documentary Feature prize at the Morelia International Film Festival in 2003. Eva completed her first narrative feature, “The Favor”, in 2006. It is a drama starring Frank Wood and Ryan Donowho and tells the story of a troubled, orphaned teenager and the man who adopts him. “The Favor” had its World Premiere at the CineVegas Film Festival, where it received a prize, and Ryan Donowho also received the “Best Actor” prize at the San Diego Film Festival for his role in the film. “The Favor” was released theatrically in Mexico in 2007 and in the U.S. in 2008 and is currently screening on the Sundance Channel. 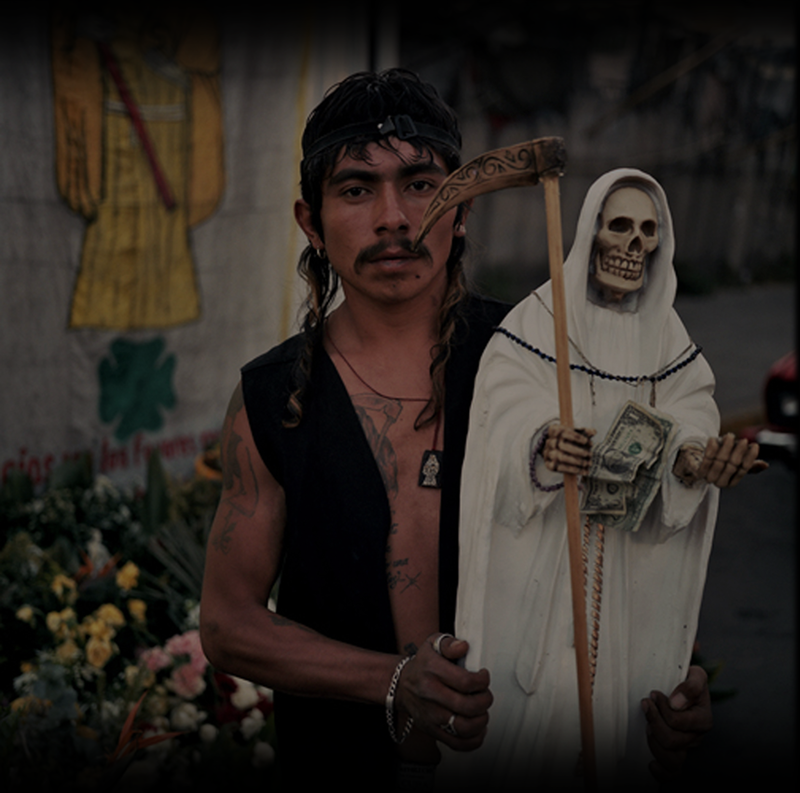 Eva's second feature documentary, “Saint Death”, is about a religious cult in Mexico. The film is narrated by Gael García Bernal and premiered at the Los Angeles Film Festival in June 2007. The film is being distributed by Seventh Art Releasing and received a prize at the Trieste Latin American Film Festival. Eva's second narrative feature, “The Blue Eyes”, was filmed entirely on location in Chiapas, Mexico and tells the story of an American couple who visit Chiapas and have a life-changing encounter with a shapeshifting witch. The film stars Ofelia Medina in the role of the witch Yaxte and features an original soundtrack by JG Thirlwell. Eva is currently in post-production on her third feature-length documentary, "Chuy, The Wolf Man". The documentary is about a Mexican family with congenital hypertrichosis, or "werewolf syndrome", which causes an excess of hair on their faces and bodies. Eva has also directed several music videos, and taught Screenwriting at the Graduate Film and TV department at New York University from 2007-2009.